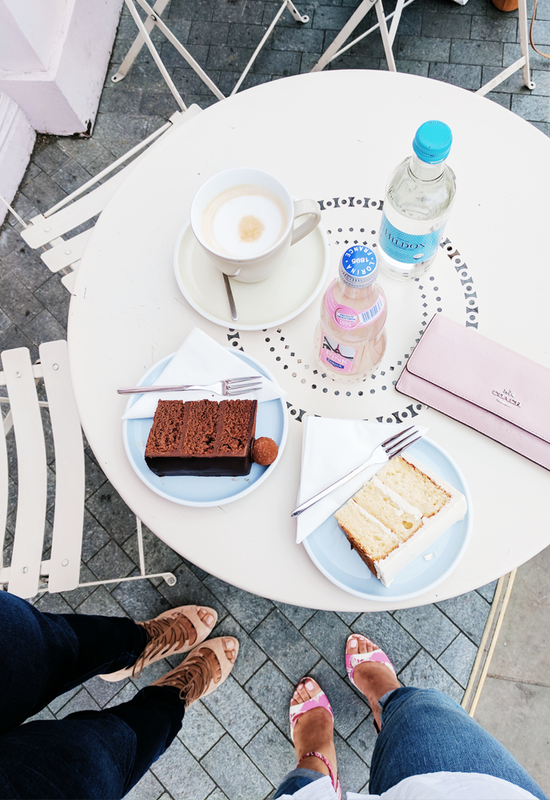 Where in London can you go to get an abundance of deliciously made cakes, Parisian lemonade, lovely lattés, a backdrop of pink walls and a stunning floral bed? 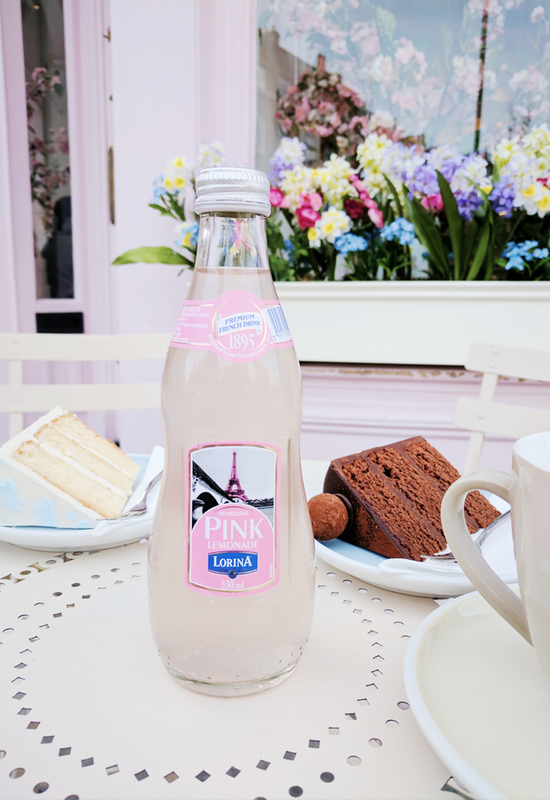 This has become my new cake spot, and it’s all thanks to my friend Farida! We spent the afternoon there the other day after she mentioned it was a place we would have to go and explore. I took the opportunity to take some outfit shots of my outfit, as the weather was mild and the sun was out. 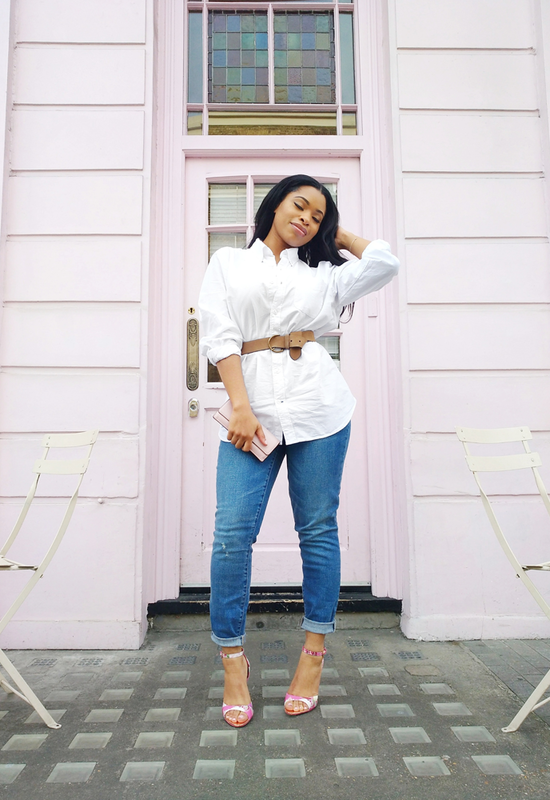 Posing in what my simple “uniform” for a day out like this is.. a white mens shirt synched in at the waist with a tan belt, a pair of blue jeans and a touch of glamour with my pink and rose gold floral heels, I felt right at home. 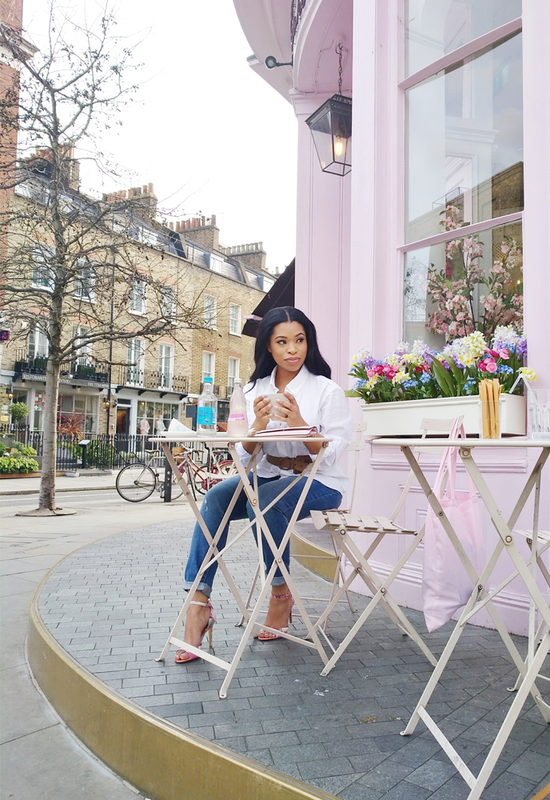 I can’t wait to discover more spots around London! If you have any recommendations, do leave a comment down below. Wow Shirley, simplicity is truly the best form of sophistication!! You look stunning as always!! love the sandals! That looks like a very cute spot. Love the shoes. How delightful! I love the whole outfit, and the outdoor seating and everything! This place is lovely through and through, just like you Shirley! Thanks for sharing! OO I love how pink this all is! 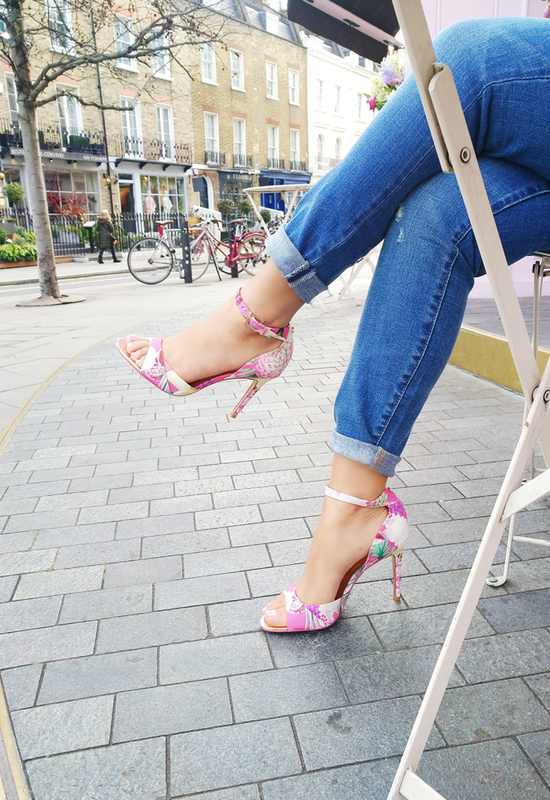 Your pics are spring perfect; really loving the Ted Baker Heels! Love the look shirley, the cafe looks amazing! Would love to go there next time I’m in London. Gorgeous look! Those shoes are beautiful! Love this outfit, those shoes are stunning! Love this post! Makes me want to visit London! Yesss Shirley sooo simple yet chic. I love it. The shoes are my fave btw, I can’t get enough of floral sandal heels and I keep buying more! LOL! This, for some reasons reminds me of Paris, lol. 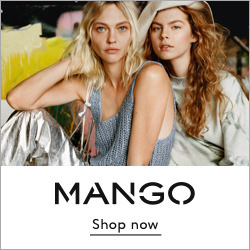 The colours are so soft and feminine and beautiful and your outfit is effortlessly chic.